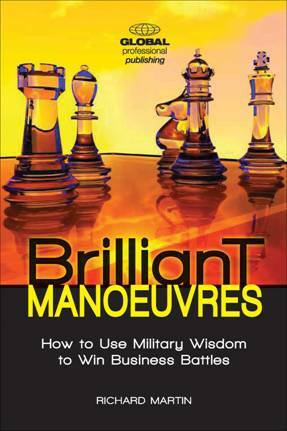 Richard’s new book, Brilliant Manoeuvres: How to Use Military Wisdom to Win Business Battles, is for executives and entrepreneurs who are looking to create and sustain competitive advantage and to lead their teams in the face of determined competition and rivalry. It is intended as a practical guide that will appeal to a wide readership in business and management. It will also appeal to managers and entrepreneurs who must manage risks and exploit change in competitive and increasingly unpredictable environments. Order through us and we’ll ship for free in Canada with the author's signature! "Richard, you have written a comprehensive book that translates to a battle plan for success for anyone in business. Of particular note is the section on expanding into new markets, where I happen to be with the company I manage, and our push forward towards victory. As you and I both know, there is great synergy between military doctrines & leadership and the business world. If we apply military leadership competencies (principled values, virtues, wisdom, etc.) to a corporate environment, the ideas shared in your book will absolutely guide professionals to victory. Drawing from your military knowledge and experience, you have done a great job of encapsulating the principles and tenets of the military to its application to business. Congratulations and thank you for doing that." Dale R. Wilson, Business Manager, quadax valves inc.
"There is a reason that business language is full of military references. Brilliant Manoeuvres is the perfect introduction to these parallels. I am finding myself using the book as a reference guide. For example, I've been applying the mission analysis tools in a fruitful manner to my own thinking. I highly recommend Brilliant Manoeuvres to beginners and advanced users alike." "With Brilliant Manoeuvres, Richard demonstrates the linkages between military and business wisdom and shows that these concepts are fundamental and essential.  In the process they gain a new relevance and freshness to help in meeting today's business challenges." 1. How Can Military Wisdom Apply to Business? War and business are both highly competitive endeavours requiring resolve, resilience, cunning, and leadership under conditions of extreme risk and uncertainty. You can only win through sustained offensive action, which requires seizing and maintaining the initiative. Defence is not decisive but it is sometimes needed to consolidate gains and buy time before going back on the offensive. Selection and maintenance of the aim is the master principle of war (and business) because it aligns everyone in the organization to a clear and overarching purpose. The art of juggling always-limited resources so they can be concentrated at the right time and place to achieve the biggest bang for the buck. The best-laid plans always go awry, and what to do about it. 7. Is Military Intelligence Really an Oxymoron? The objective isn’t to know everything, as that is impossible, but to know more than your competitors and opponents. Logistics is the technique of rational calculation, and it should be applied to all aspects of business, not just transportation and warehousing. The real test of morale is adversity. It is based on cohesion and unity and is the main contributor to individual and team motivation. Competence is the heart of leadership. It can be learned, evaluated, and honed through the consistent application of time-tested principles of military leadership.